5 individually designed en-suite bedrooms. Early starts and lie-ins catered for. The Cross at Croscombe bed and breakfast in Somerset takes its name from the Market Cross which stands majestically outside the front of this 15th century building. Throughout its long and colourful history the building has always been a place of refuge, rest and relaxation. Since opening in 2014, the premises have won numerous awards. 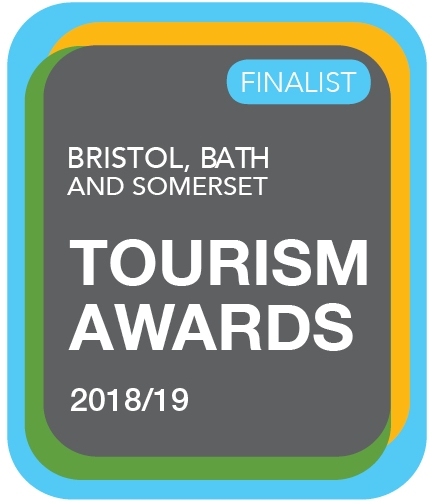 WINNER of ‘B&B and Guesthouse of the Year’ in the prestigious Bristol, Bath and Somerset Tourism Awards 2018/19. Watch highlights of the awards evening. 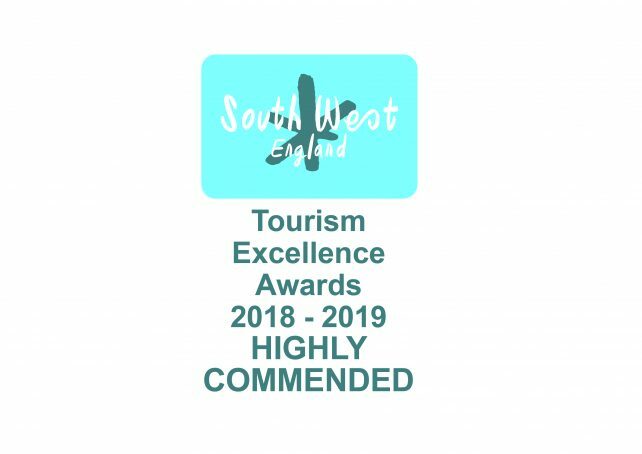 Highly Commended in the 2018/19 South West Tourism Excellence Awards. The Cross at Croscombe bridges the gap between a small, intimate hotel and a traditional B&B. 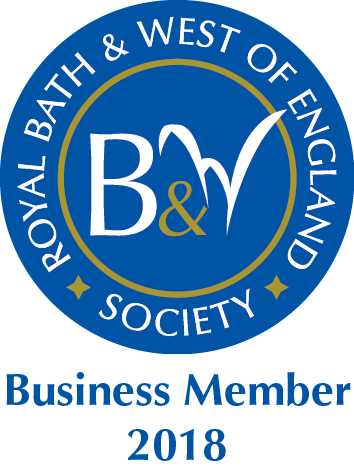 As owner, I endeavour to harness the best aspects of each; the personal service and local knowledge that you would associate with a well run bed and breakfast and the high quality fixtures and fittings of a first-rate hotel. There are five individually designed bedrooms to choose from. All the bedrooms are en-suite and most have king size beds. Chew is ideal for families. This delightful double room with king size bed interconnects with a twin room (with two single beds). Both rooms have access to a bathroom. Guests can access the courtyard garden via an external staircase. If you prefer self-catering to bed and breakfast, then Mells is a ground floor apartment with a kitchenette, lounge and dining area. The sofa in the lounge converts into a small double bed, so this room is also a great option for families with young children. 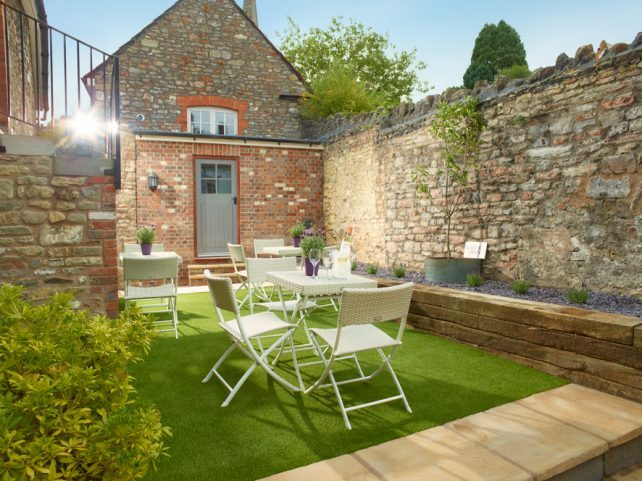 Mells is also available as a bed and breakfast in Somerset. The other bedrooms are Yeo – a lovely double room with double bed, Brue. – a beautiful double room with king size bed and Sheppey – a deluxe double room with king size bed. Each room has its own special features. Read more about the rooms. If you would rather discuss your requirements, please call 01749 343352 or complete an Enquiry Form. The main dining area in this bed and breakfast in Somerset has oak beams, flagstones and an inglenook fireplace. There is also a spacious lounge and delightful courtyard garden to enjoy. Access statement. 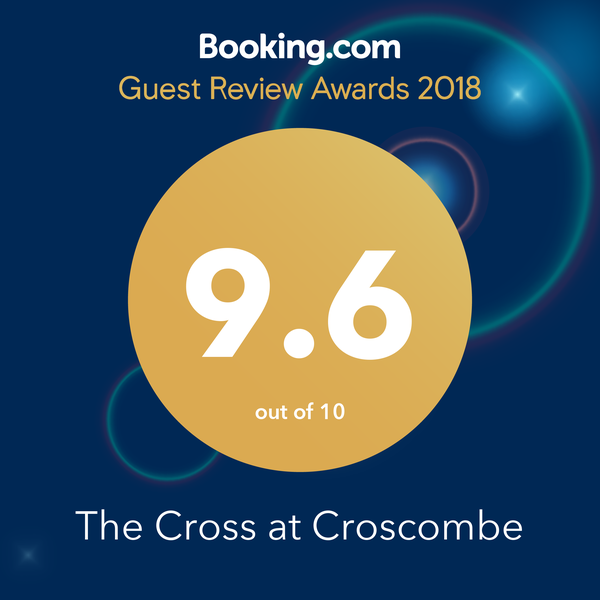 Come and stay at The Cross at Croscombe bed and breakfast in Somerset. It’s the perfect base from which to relax and explore this beautiful county. Mary Cadogan – cook and food writer extraordinaire – regularly cooks supper here. View the menus & dates. Read a review of a ‘Supper with Mary’. The village of Croscombe lies in the heart of Somerset, near to many attractions and places of interest. It is home to an award-winning pub and beautiful medieval church with Jacobean interior. Family favourites close by include; Cheddar Gorge, Wookey Hole and Longleat Safari and Adventure Park. 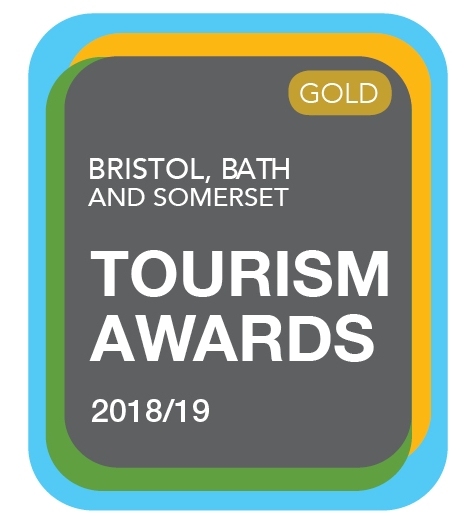 Shop at Clarks Village and Kilver Court, visit the gallery and multi-purpose arts centre in Bruton or take a short drive to Bath or Bristol. The beautiful Cathedral city of Wells, (England’s smallest city) is only a couple of miles away and there are many National Trust premises and nature reserves nearby. The Bath and West Showground in Shepton Mallet is also close by as are the lovely villages of Mells and Wedmore. Come and take a break at this award-winning bed and breakfast in Somerset. Bed and Breakfast IN SOMERSET And Much More! This former public house is also a great venue for private parties and social gatherings. You can find out more here. The Cross can also be exclusively hired (either on a bed and breakfast, half board or self-catering basis). It sleeps up to 14 people – ideal for a group get together. I hope to be able to welcome you to my bed and breakfast in Somerset soon. Family room with king size bed and two single beds. En-suite bathroom. Breakfast included. Apartment with king size bed & small double sofa bed. Ground floor room. En-suite bathroom & kitchenette. Breakfast included or self-catering. Prices: From £125.00 per night B&B or £100.00 per night self-catering. Double room with double bed. En-suite bathroom. Breakfast included. Price: From £105.00 per night. Double room with king size bed. En-suite bathroom. Breakfast included. Deluxe double room with king size bed. En-suite bathroom. Breakfast included. Price: From £125.00 per night.